We provide homeowners of Franklin County with quality service as a siding contractor in Frankfort, KY. We offer it all from wood, vinyl, cement to aluminum! Whether you’re looking to remodel or need to replace your siding due to storm damage, our services will give your home the look you deserve. There are several great siding companies in Frankfort. While some only provide new installations and others offering repairs, we do it all. You can expect our services to be performed with quality workmanship and proper installation techniques that last. Here are a list of siding services we offer. Many of our clients ask…What type of siding should I use on my home? 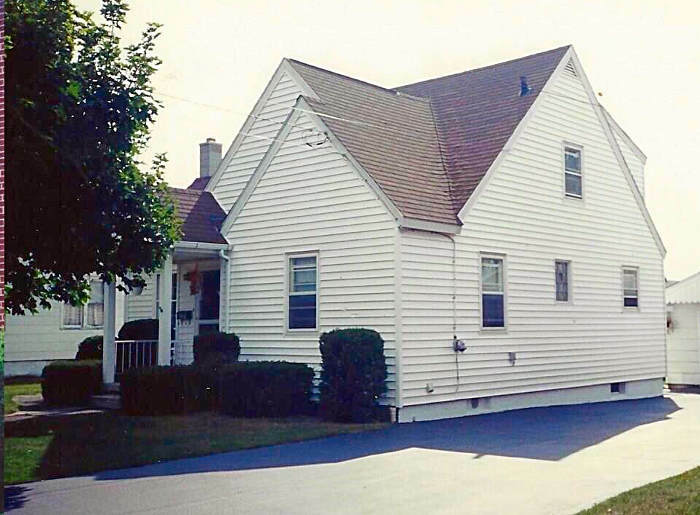 It usually comes down to 3 different considerations and they include maintenance requirements, initial investment vs. return on investment and the life span of the siding. We’ve put together some helpful information to help aid in your decision by offering some pros and cons on different types of siding. Vinyl siding has several benefits including low installation costs, little to no maintenance and a variety of color selections. It’s a very popular choice that many homeowners consider to compliment their home. Although usually offering a 20 year life span as most manufacturer’s state, it won’t last forever. It has a tendency to fade in color over time due to the sun’s uv rays. Additionally, depending on the care provided by the siding contractor, it can warp and buckle if not installed correctly. Wood siding adds beauty to a home like no other. That’s one reason why many other types have started to mimic it’s look. One pro is that wood is a natural insulator, which helps keep your home’s energy expense down. Another is the value it adds to a home. Homes with well maintained wood siding generally have a higher resale value. You must be committed to maintaining your wood siding. Depending on the climate it generally requires maintenance every 4 years. Penetrating stains and sealants are most suitable for wood. While painting your wood is an option, it doesn’t provide the true protection it needs. Fiber cement siding is growing in it’s popularity. Certain benefits include being insect resistant, no rotting from rain and a life span of 25 plus years. Initial product and installation costs can be higher than most homeowners are willing to invest. The labor required is more extensive, with special tools that are needed to perform the install. Aluminum siding can be an affordable investment. It can offer a variety of appearances that can even match the look of wood. 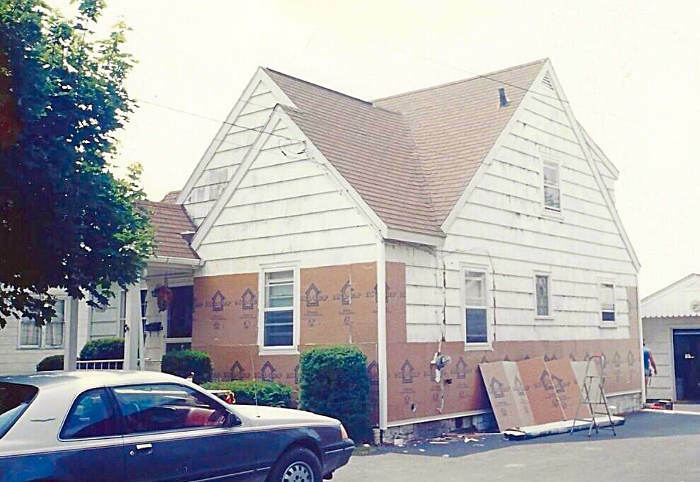 It’s wise to select a siding service that can install this correctly. Cons of aluminum siding should be heavily weighed. Some down sides are that it’s easily dented and hard to match the color if it requires replacing. Often, even the smallest of hail impacts, kids playing ball or tree limbs can cause damage to this type of siding. You can count on us to deliver a quality installation. It’s your home and your investment, so we treat your project with care and attention to even the smallest of details. We measure each component to ensure that it doesn’t warp or get damaged from small to moderate winds. It’s our commitment to offer a quality product backed by a quality installation. 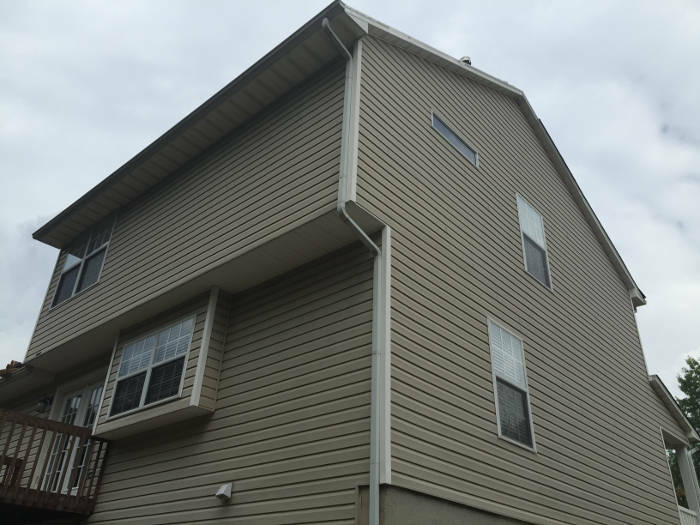 For service you can rely on, contact us as your affordable siding company in Frankfort, KY.